Another tradition I try to keep at home during the holidays is to make Christmas cookies. I really love making cookies that I can decorate with my niece, like gingerbread men, because it’s something that we can do together. 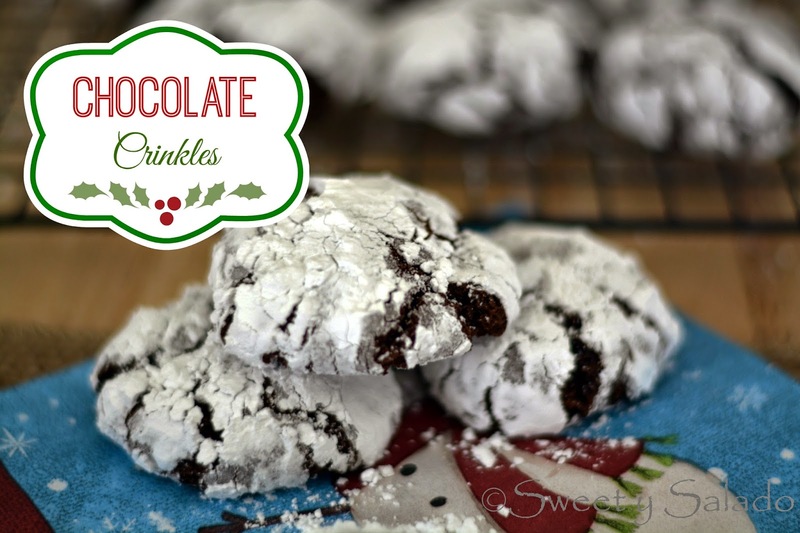 Of course, every now and then I try to make cookies that are easy to make and these chocolate crinkles are the ones I make the most because we all love them so much. 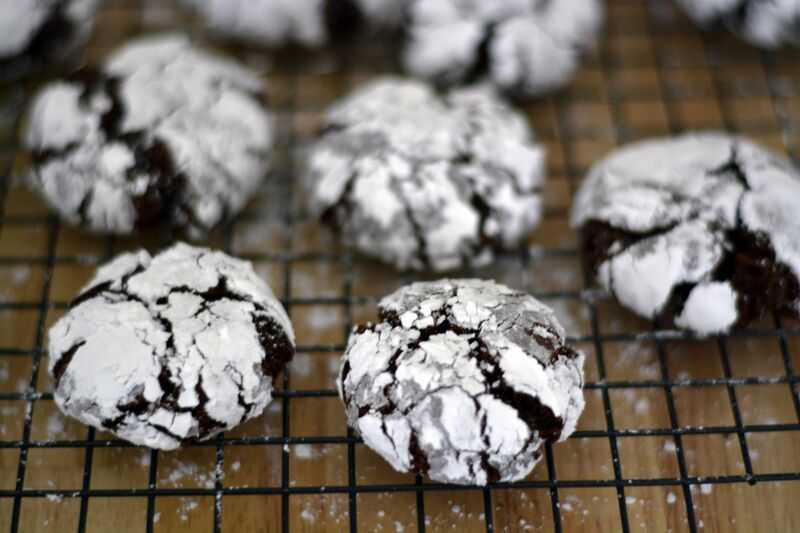 If you love chocolate as much as I do, then you have to make these cookies because they have an amazing chocolate flavor that goes really well with the powdered sugar. On top of that, they have a very smooth and fluffy texture, almost like a brownie which makes it impossible to eat just one. You can add as much or as little powdered sugar as you want. I love covering them with lots of it to make sure it doesn’t disappear during baking. I roll them in it up to three times so the white color stands out and the grooves, or crinkles, show even more when I take them out of the oven. In a large bowl combine the all purpose flour, baking powder and salt. Whisk well and set aside. In a large mixing bowl, mix the sugar and the oil on low speed until well combined. Add the cocoa powder and mix again until well blended, make sure to scrape the sides of the bowl to incorporate it well. Beat in the eggs one at time, as well as the vanilla extract. Slowly add the dry ingredients, in two batches if necessary, and scrape the bowl again to incorporate everything really well. Cover the bowl with plastic wrap and refrigerate for at least 4 hours (preferably overnight). Preheat oven to 350ºF (180ºC) and line a cookie sheet with parchment paper or a silicone baking mat. Shape the dough into 1 inch (2.5 cm) balls (using a small ice cream scoop works best) and roll them in the powdered sugar. For whiter cookies you can tap off the excess and roll again about 3 times. Place them on the prepared cookie sheet, about 2 inches (5 cm) apart and bake for about 10-12 minutes or until the tops are crackled. Let them cool in the cookie sheet for about 2 minutes and then transfer to a wire rack to cook completely.